Ahh well, the flag is a bit fuzzy in this photo, do you think when I get that new DSLR I will have no more fuzzy photos?? It felt good to put up the American Flag this weekend, for many reasons, not the least of which is to show support for our troops and especially for my two grandson’s who have both served in Iraq. Patriotism means many things to many people, and each of us has our own definition. Looking at this flag flying in the spring winds reminds me of being twelve years old in the school playground, crying with emotion when they played the Star Spangled Banner and I saw that flag waving against the blue sky. Unencumbered by political discussions and partisan arguments, I loved my country, and was proud to be living in the United States of America. I still love my country, with full knowledge that it isn’t perfect, I would not choose any other. If you want to read an excellent story about the origins of Memorial Day, go to E-Squared and Mui’s blog here. You will also get to see an amazing photo of the American Flag to help remember the reason for this holiday. The Alaska planning is moving forward in earnest. My daughter and her husband have done the highway in their big rig several times in the last year, and her one bit of advice was, “Take extra headlights”. Mo is attempting to offset the broken headlight thing with a bit of ingenuity, and hopefully it will help a bit. This morning she was looking through her photos of her last trip on the highway and found a shot of her last attempt and they never had a broken headlight. I think there was a lot more gravel on the road in 1974 than we will encounter this summer, but all it takes is one good hit. We also have ordered the Protect-a-Tow recommended by Linda to try to offset some of the damage from flying gravel between the rig and the Tracker. There are several options out there, but this seems to be the favorite of many folks doing the highway with a toad. Rain, of course, is a given, even if we have some good weather, it is just about certain that we will have rain. Living in the northwest mountains, we already have plenty of fleece, boots, rain gear and flannel, so the trip should feel just about like the past few months of cold, wet springtime at home. I am especially grateful that we will be in the cozy MoHo, unlike Mo’s first trip in the Scout, hiding out inside with mosquito coils burning while it rained. We do plan to have campfires whenever possible, but will not be taking any firewood. The "Burn It Where You Buy It” rule is in effect in most places in the western forests, and while I haven’t read the full rules yet, I would bet we couldn’t take firewood into Canada anyway. Instead we are packing plenty of firestarter and Mo is taking her baby chain saw to take advantage of whatever may be found locally en route. And yes. Rather than borrowing my daughter’s very expensive professional Nikon equipment, I ordered my own camera, the Nikon D5100 with a metal mount 55 to 300 lens, which Al says will probably pull my arms out of their sockets. The 18-55 will hopefully get those great wide angle views that I will need in the vast expanses of the north country. I read everything I could find comparing Nikon DSLR’s and appreciated Al’s link to Ken Rockwell’s site, a truly amazing resource. Of course, the biggest job seems to be thinking about and planning our route. I have played and adjusted and researched and am still fiddling with the thing a bit, trying to get an idea of the time we will need to really do all that we want to do and yet still leave some loose, unscheduled time to take advantage of whatever amazing moments choose to present themselves to us. According to the “Streets and Trips” plan, we are now up to 39 days and approximately 6500 miles for the MoHo, with some possible side trips in the Tracker that aren’t included. Since I am still working part time, I can’t have a completely open-ended trip, and besides, Rocky Point in summer is one of the best places in the world and we don’t want to miss all of it. I have been sitting with the hard copy maps, Mo’s favorite, the laptop, and the 2011 Milepost, trying to get an idea of where we might stay along the way, how many miles a day we can expect to drive, and what we don’t want to miss. I really do love the planning part, and hope that all the planning won’t interfere with the spontaneous, wild moments I hope to experience as well. I’m following along right now as several RV’rs travel through Alaska, and it’s really interesting to see the different perspective of people who are even traveling together on the same route. I’m sure our trip will have it’s own flavor as well. In the midst of working my regular job and planning for the upcoming trip, I have been gardening, planting goodies in the greenhouse, and watching tiny seeds sprout. The days are still about 20 degrees below normal, and when I open the door to the greenhouse, my glasses fog up immediately with warmth and humidity. At night it stays above freezing, even though we have had frosts in the more open areas of the property. I planted a row of new roses along the driveway to replace the sad twigs that couldn’t handle the hard winter. The new roses are a hardy shrub variety that are grown on their own root stock and are reputed to bloom with as little as 4 hours of daily sunlight. With our big forest, sunlight is always an issue for blooming plants. I also bought a killer 4 gallon backpack sprayer so that I can saturate the property with nasty smelling “Liquid Fence” to thwart the deer and rabbits. I’ll let you know how it works when the summer is over and the dry fall brings in those ravenous critters to eat everything in sight. With snow in the mountains, 4-wheelers in the forest, and traffic everywhere, I am grateful to be spending this holiday quietly at home after an overnight visit from my daughter and granddaughter. For a couple of girls often plugged in to electronic stuff, a game of dominoes last night on the dining table was a bit different, and I laughed so hard I couldn’t breathe with some of their antics. A bacon and waffle breakfast was just the send off for them to return home and enjoy a much deserved day off. The sun does come out now and then, the grass is getting much greener, and I even spent most of the day outside yesterday enjoying the colors of spring. I am here, reading when I can, but haven't been able to comment, either with my XP machine or my new Windows7 machine. It's cold and rainy in Rocky Point, I am working at home and gardening in between rain storms. Nothing much going on at the moment, but it's been awhile, and since I can't comment, thought maybe I should just drop a line. Haven't heard from Russ and Donna K lately either, so hoping all is ok there. My son and his extended family living in Joplin are all OK, but it has been a terrifying week for him. For a long time we were only able to communicate via text message, but isn't that amazing? No phones work, but he got a message to me saying he was alive and his step daughter was in the WalMart (where she works) but alive. They put 8 women in the women's bathroom and they all lived. They had 11 men go to the men's bathroom, and it was obliterated and the men have not yet been found. He says the devastation is far worse than you can imagine. I know that many of us have been in this part of the country traveling in May, so I am counting blessings and praying for those not spared. A bit later now, I have discovered if link to a blog from my followed list on my own blog, after I have logged in to blogger in draft, then I seem to be able to comment, at least more often than not. Who knows what that is about, but thought I would mention it. Spring has finally come to Rocky Point. Even though we have fits of snow and hail predicted for tonight and tomorrow, the fact that the daffodils are blooming is a sure sign that spring is winning. Maybe. Mo actually started up the big mower this week and mowed all the lawns, so that is another good sign. It has been a long, cold spring most everywhere in the west, I think, with temperatures averaging 10 to 20 degrees lower than normal, and most flowering plants running 2 to 3 weeks behind their normal schedule. One more sure sign of true spring is the bursting of the aspen leaves, and there are huge drifts of aspen along the lowlands bordering Upper Klamath Lake. I saw a faint hint of green yesterday, just a breath of a cloud of green on the tips of the aspen branches. Ahhh. Finally. I am truly excited about the greenhouse. The raised beds are 12 inches deep, and I have a good amount of square footage to attempt some close cropped, raised bed gardening. Because the soil is thick and rich, you can plant veggies much closer together, and that also keeps the weeds down a lot. I just discovered another lovely little treat, I can sit on a 2x12 bench and have access to just about everything without having to be on my knees all the time. I’m tickled. On another note, a recent commenter thought the greenhouse was a great idea since produce was going to get more and more expensive with the huge increases in fuel costs. Hmmm. Wondering just how much my tomatoes will cost this year. We didn’t build the greenhouse to save money, but so that we could have any kind of veggie garden at all in our cool, forested, animal infested environment. Did I say infested? Oops. Wildlife in the forest is supposed to be one of the benefits, but as a lover of gardens, I am not quite sure about that. Back to the cost of the tomato. The greenhouse cost 699 on sale at Harbor Freight. (Do I count the gas to drive twice over to Medford to buy it and then pick it up?) The 2x12 untreated fir we used cost 71. (We couldn’t find a local supplier for cedar or redwood and didn’t want to use treated lumber). The gravel was part of the load Mo purchased for our road, so I guess I won’t count that part. The soil cost a total of 130 for composted dairy waste and topsoil. Labor? well, we won’t count that at all, but safe to say it was more than going to the store to buy a tomato. I spent about 23 bucks on some heritage seeds and about ten bucks on starts, and who knows how much more I will spend. I’m an impulsive crazy spender when it comes to plants and gardens. But for now, lets just say we are into the greenhouse to the tune of $935.00. Since I have six tomato plants, and can expect maybe a max of 5 pounds per plant, I am paying about $31.00 per pound for tomatoes, with some lettuce, spinach, herbs and other stuff thrown in. I really don’t expect to get 30 pounds of tomatoes, but who knows. All I know for sure, is that it is a deal at any price and worth every single penny. I will have all the stuff for fresh salsa, and basil to my hearts content, one of my most fragrant favorite herbs. I won’t waste a bunch of lettuce because I buy too much because it is too far to town, and that will certainly make Mo happier. I’m awful about buying too much produce. I haven’t had a real vegetable garden in years, and have no desire to return to the Toro Tiller days when I gardened in a 2 acre plot. This is just perfect. Perfect. Well, at least hopefully it is perfect. I guess I’ll find out after a summer of trying it out. While we worked on the beds yesterday, I also decided it was time to move the bird feeders away from any and all lawn and hung a wire from two big firs out in the National Forest just beyond our property. I now have about 6 feeders, with different kinds of food to hopefully attract a few more songbirds. The blackbirds and squirrels were making quick work of my bird food stash and they loved throwing seed everywhere for the chipmunks and rabbits to find. Too much scratching going on out there, for sure, and the flowers were suffering. I keep trying for bird photos, and am embarrassed to put anything up at all, but just so you have an idea, here is the bird feeding station. Gotta get that camera soon! So far we have lots of grosbeaks, chickadees, finches, blackbirds, jays, and some other little ones that I haven’t identified yet. Time to get out the binoculars and the Sibley bird book! After all, we are in the Klamath Basin, one of the birding capitals of the country. The daffodils are blooming, the birds are singing, and the veggies are growing. What more could I ask for? No snow?? hah, not a chance. Even though we arrived home Sunday night, May 8th, soil survey work was the priority this week and blog updates were a bit lower on the list. After seeing the blip in blogger, I was just as glad I didn’t spend a lot of time trying to update! The other BIG priority was completing our work on the greenhouse, but more about that on another post. Thought I would mention SmugMug. I saw the website on E-Squared and Mui’s blog in addition to Froggi Donna’s blog, and decided to check it out. I have used Picasa for all its handy features, but with the volume of photos that I take and upload, I still have to pay a fee for storage. The SmugMug site isn’t free, but it IS delightful, and after perusing it a bit, I decided to go for it. Eventually I will manage to upload all my past photos to the site, and that takes time on a satellite connection, but for now, at least all my current photos are there. One of the things I love most about SmugMug vs. Picasa is the ability to organize photos into categories and subcategories, which makes for much easier viewing. Here is an example: a link to the set of galleries that are from our recent Oregon Coast Trip. Of course, the other major feature available with SmugMug is the ability to store all your photos at the original resolution, and to download them again at that resolution with no charge. I learned about this once the hard way, losing some photos and going back to Shutterfly (which I used prior to Picasa) to retrieve them, only to find I had to pay for a shipped CD to get full resolution. SmugMug is a great backup, for a fee of course, but worth it in my opinion. After four gorgeous sunny days in the Brookings “Banana Belt”, we drove north to South Beach State Park just south of Newport to spend a couple of days camping with Mo’s brother, Dan and wife Chere. They traveled from Beaver Creek Oregon to spend some time at their favorite beach park. Even though the water is actually half a mile from the campground, I can see why Dan likes it. He has two big dogs who need lots of space, and there are miles of lovely trails and open space where he can run the dogs each day. Chere loves the cozy comfort of the motorhome and a great book, so it’s perfect for them. It was wonderful to see Dan looking so healthy and happy, since just last fall he scared all of us with a bout with throat cancer. Pretty amazing how he came through the surgery and radiation, and according to all the reports, he is back good as new. He is getting back his sense of taste, and looks wonderful. Of course, there will be periodic checks in his future, but the worst is over. We enjoyed the morning walks with all the dogs, and the hike to the beach was nice, even though it was cloudy, and quite windy. The two days went by quickly with long afternoon campfires, spurts of rain, and bits of blue emerging from the clouds now and then. We shared dinners and breakfasts and on Saturday evening trundled off to Newport to explore the Old Town area, find some fudge and some gorgeous coastal art, and check out the harbor sea lions. I hadn’t heard that NOAA “National Atmospheric and Oceanic Administration”, decided to move to Newport. Dan showed us the new site under construction. What a loss for Seattle and what a huge boon to the town of Newport. The new site is just inside the harbor beyond the famous Newport bridge, and very close to the open ocean. In Seattle, the facility was many miles from open sea on Puget Sound. We talked about what a difference Newport will be for the 175 families relocating there. Some may love it and others may have a hard time with the isolation of the Oregon Coast after all the amenities of a big city like Seattle. We left South Beach early Sunday morning, deciding on the route east from Florence directly to Eugene. I love Florence, which has an actual downtown, a beautiful kayakable harbor and estuaries, and beautiful surroundings. We had a spontaneous Mom’s Day breakfast at a comfy little local restaurant before traveling the easy route east. Florence isn’t as warm as Brookings, but the convenience to Eugene was impressive. We put Florence on the “possibility” list for our nine-years-out relocation to a less snowy place! Who knows, magic happens and wherever we should be will show up when the time is right, I am sure. On the way home, we decided to detour north a bit to La Pine and visit Mo’s other brother Roger and wife Nancy. Roger was recuperating from back surgery just three days prior, and was in amazing shape considering he was barely out of the hospital. After a great visit, we traveled the last leg of our trip south and home. It’s always amazing to me as we cross the Wood River Valley west of Chiloquin to see the massive green slopes of the Cascades rise above the rich valley. The sun was setting between the clouds and the mountain crest creating a brilliant backlight to the shadowy clouds. As always, it was good to be home, knowing that part of my family is close by in town. We drove about 700 miles and this time our costs averaged about $89 per day. We never paid more than $4.00 per gallon for gasoline, and found that Florence actually had the cheapest gas at 3.79 pg at the local Fred Meyer’s. State Parks in Oregon are certainly cheaper than California, with our partial hookup (water and electric with cable at Harris Beach) sites costing 27.00 per night and an $8.00 reservation fee for each park. Both parks had on-site dump stations. We only ate out twice along the way, not wanting to miss fish and chips on the coast or a Mom’s Day breakfast that I didn’t have to cook. It seems that travel for us manages to average out somewhere around 70 to 120 per day, whether we are cruising around in the motorhome or on a ship. 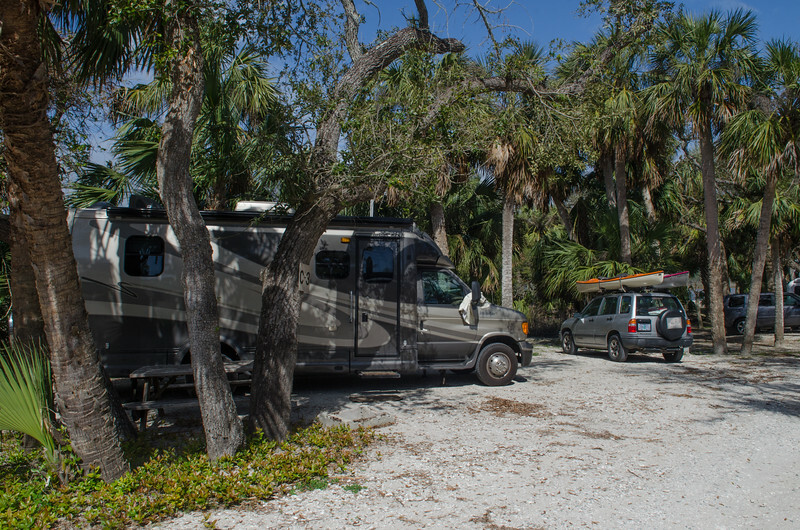 I know that motorhome travel can be much more thrifty if you boondock more and move around less, but so far, we have wanted to enjoy our trips without having to manage our travels around the most thrifty options. I am sure if we were full-timing, the choices would be far different. Still have no good internet access, so am sitting in the Mojo Café in Brookings. Managed to upload three days of blog fun but the photo upload is crawling along and I am going to give it up and head back to camp. The rest of the photo links will be posted sometime when access is a bit better. (Photos are all posted now both on Picasa and Smugmug with a link at the bottom of the post for this day!) Good a time as any to catch up on a very few of the 200 plus blog posts in my reader list accumulated since we left Monday morning. Gee, you are all so prolific!! I woke up as the sky was barely lightening to see a shroud of fog hovering over the ocean, but by the time we got up at 6:30 it was completely gone. There was barely a breeze and the skies were completely clear. We planned to kayak again today, this time on the Pistol River and estuary about 17 miles north, but first we decided to begin our day with a hike down to the beach. This time we took the South Beach Trail, another well maintained route down the cliffs to the ocean. South Beach Trail takes off just a couple of sites east of ours and meanders through deep green forest before approaching the view parking lot and cliffs to the beach. The path down the cliffs is steep, but not too much so to manage easily back up without stopping. It is even paved with asphalt, so no slipping and sliding on loose rock and gravel makes it really enjoyable. Once on the beach, the sun was so warm Mo had to take off her jacket and we walked as far south as the incoming tide allowed, throwing the ball for Abby and enjoying the warm, windless morning. I haven’t experienced the beaches of Oregon without wind very many times, so I thought it was wonderful. Abby even wore out after much fetching, and once even stopped to rinse her sandy ball in a tidepool before picking it up again and bringing it to Mo. Did she do that on purpose?? It seems so, but who knows. Abby IS incredibly smart. We are unhooked from internet and telephones, but still have the morning news with the cable here at the park. It’s amazing how one thing after the other gets all the focus. The killing of Bin Laden and the decision about whether or not to release his death photos have completely superseded the tragedies in the south. I don’t understand why news can’t actually be news of what is going on everywhere, instead of what happens to be the “big story” of the moment. The flooding and tornado damage in our country is more important to me that all the political posturing about the Osama thing. We spent a bit of time relaxing in the morning sunlight before taking the baby car north on 101 about 17 miles to our planned launch site on the Pistol River. Once we passed through the beautiful forest and started the descent to the ocean, the difference in wind speed was intense. Parking first at the north side launch, then at the southern approach, we walked out to the river to asses the situation. I think the winds were close to 40 mph and the tide incoming. We thought it would have been ok going upstream, but were a bit worried about getting back downriver. Driving upriver to some other listed launch sites didn’t yield anything more promising, so we once more traveled back to the Pistol River State Park day use area and saw that even with the incoming tide, the connection between the river and the south arm estuary was completely dry. It was cold and the wind was intense, so we looked at each other and said, “Maybe not”. Time for Plan B. In some of the literature we gathered for the area while driving about town, Mo found information about a little known historical site. In the Brookings area, you can hike to the only spot in the continental US where enemy bombs were dropped during WWII. Nobuo Fujita, a young Japanese warrant officer, flew his small pontoon plan off a Japanese sub on the Oregon coast near Cape Blanco on September 9 1942. His assignment was to drop incendiary bombs into the forest, start a huge fire and panic the nation. Only one bomb out of five detonated, and it ignited the woods up in the hills near Mount Emily. Due to wet conditions and the fact that the bomb only partially detonated, the fire only spread 75 feet. It was quickly put out by four forest service workers. Twenty years after he dropped his bombs the Brookings Jaycees invited Fujita to visit during the Azalea Festival. He came to ask forgiveness, and presented his sword to Brookings. You can read more detail about this amazing little piece of history here. We drove several miles east along the Chetco River before turning off on the dirt and gravel road to Mount Emily and the bomb site. The trip reminded me of the many years I spent driving remote forest roads like this one exploring wild areas. The nice part about this trip is that I was only going to hike on trails and I didn’t have to climb these steep slopes with a shovel and a pack through thick brush. In this area, the conifer forests have been burned, and the canopy is often dominated by second growth alder. While a coniferous forest is often lovely, they are also very thick and dark, and a bit forbidding. I really enjoyed the fluorescent lime green light filtering through all the leaves of the springtime alders. After almost 14 miles of winding road, without seeing another single car coming or going, we found the trail head. The hike was perfect, some ups, some downs, about a mile each way through beautiful forest to the bomb site. The signs were wonderful, telling the story with photographs of the Japanese sub, the pontoon airplane, Fujitsu and his son, and the people responsible for putting out the fire. As usual, the hike back to the trailhead seemed to go much more quickly than the hike out, and the ride back to town also seemed to pass much more quickly. We again passed our special stops found on the way in, the lovely little campsite along the creek, and the amazing very tall waterfall hidden among the alders. On the way back down the road, we were discussing how little wildlife we had seen. In the bomb site brochure, it was mentioned that the remoteness of the road often allowed for seeing a bear or two scampering across the road. Literally minutes after we had this discussion, we suddenly saw two bear cubs scamper across the road. It was much too fast for us to truly catch anything with the camera, but then one cub ran up a tree right next to the road, and obligingly waiting for us to take his photo. Once again I am reminded of how much I want a real SLR with a real telephoto lens when I go to Alaska! The baby bear was sure cute, and Mom and sibling were no where to be seen down the incredibly steep slope. Back in Brookings, we decided it was time for some coastal fish and chips. Funny thing, being a harbor town, there doesn’t seem to be a lot of fish places around. We both remembered a place south of town where we once had a great dinner with friends, but couldn’t find it. Finally found it with the help of the phone and the place was closed up tight. We then drove back through the 101 strip, but nothing appeared, and we decided to go down to the Harbor to see what was there. I had heard about the Oceanside, and after much dinking around, we finally found it. It was also closed up tight! By this time we were both pretty tired and hungry and grumpy, but neither of us was quite ready to give up and go home and eat soup. We passed a funky little restaurant called the Chetco Seafood Company, with a blinking beer sign in the window, and a couple of people leaving with go bags in their hands. Tired won out, and we parked Abby where her barking wouldn’t get attention and went in. First sign of a good choice was the decent glass of chardonnay for 3 bucks. We ordered fish and chips, and kept asking each other, “Is this really this good or are we just hungry?” I decided it really WAS that good. The fish was light and incredibly fresh, the breading thin and light and delicately spiced and not the least bit greasy. The fries were perfect and the cole slaw perfect as well. We shared a cup of chowder filled with fresh pink? clams to start and it was perfect as well. Maybe we were just hungry, but it may have been the best fish and chips I have ever eaten. More photos of our day are located here. As I mentioned previously, Brookings is in a sort of “Banana Belt”. Most of the Oregon Coast is chilly and windy much of the year. There are often beautiful days with sunny skies in the fall, and sometimes when it is least expected. Those clear warm fog free days happen more often in Brookings than farther north, and even more than in Crescent City to the south in California. The rainfall here is around 74 inches a year, with precipitation falling on 150 days. I am comparing notes and paying attention because while we were at Fred Meyer the other day, Mo just happened to throw out the thought that Brookings might be a nice place to live. The original plan when Mo built her house was to live there ten years or so and then move on to something smaller and more manageable, perhaps a condo in a place where there was no winter snow. She chose Brookings once, and having lived on the California coast for more than 25 years, the chilly fogs don’t bother her in the least. I, on the other hand, am a sun worshiper. I need light and warmth. I often think I could live in Florida. I love green and flowers and plants. Brookings right now is filled with green and flowers, and it looks terribly tempting. Thank goodness a decision isn’t imminent. Mo has lived in the big house at Rocky Point for almost nine years now, and the “ten years” has evolved. So many things to love about Rocky Point, and Mo’s home is lovely, with her assistance throughout the building process, it is a very personal space. The large beam in the living room and much of the woodwork came from huge Douglas firs milled right there on the property. So now the plan is 2020. Instead of a certain number of years, we picked a date. Arbitrary to be sure, but in our 80’s, the thought of shoveling snow isn’t a good one. So, again, somewhere in Southern Oregon, but it could be just about anywhere. It’s kind of exciting to have this change out there in the future, something fun to think about and now I look at Brookings in a completely different way. Yesterday was one of those gorgeous, sunny days, with temperatures climbing into the 60’s. We hiked a couple of the trails in the park, first to the Harris Butte, and then again down to the beach in the early morning sunshine. It was a perfect day for our plan to get the kayaks in the water. We have a copy of the “Canoe and Kayak Guide” for Oregon South Coast, covering the sloughs and rivers from Newport to the California border. Our choice for yesterday was the Winchuck River, a smaller river near the southern border with an outlet to the ocean. The guide warned of low water, but this time of year we thought things would be in good shape. The suggestion was to launch before high tide, paddle upriver till the tide shift, and then follow the tide back to the launch site near the ocean. The launch was lovely, on a sandy beach with shallow water that deepened quickly. We paddled upstream under the Highway 101 bridge and followed the river along the farmlands and river homes along the way. Even this close to the ocean, the water was really shallow, with some gravel bars and areas that were less than 4 inches deep. We managed to get through it without grounding, a good test of the new kayaks, but then as we reached some very shallow riffles the current got very strong as the river made what looked like a gentle drop. I think we paddled for a good 20 minutes, going absolutely nowhere, before we decided to get out and portage the riffles along the rocky beach. We thought if we could get around the riffles, we could continue upriver a bit more. I held Mo’s boat in the strong current while she got back in with Abby, and then attempted to launch into the current myself. I thought of my friend Jeanne, a whitewater kayaker who launches her tiny shoe kayak off rocks and over waterfalls. I, on the other hand, couldn’t manage getting into my boat in a simple fast current. I must have hit the current sideways, or still wasn’t balanced in the middle, and over I went into the very cold water. Even though it was only a couple of feet deep, the current was incredibly strong, and it took every bit of strength I had to hold on to my boat and paddle to keep it from going downriver. Our cockpits are large, open things, and even if we had skirts on, these aren’t the kind of kayaks that you roll over and back up in deep water. Instead, my cockpit filled with water, and my boat banged on the rocky bottom until I could get it hauled up on shore and dump all the water out. I’m glad it wasn’t terribly cold out, with sunny skies, and I again remembered some kayaking advice, “Dress for the water, not the weather”. Of course, I probably won’t ever do that, since a wet suit seems to be a huge pain in the neck, and I like easy fun comfortable kayaking. It definitely taught me another lesson, though. I saw just how easy it is to roll over in a kayak. In all our years of boating, this has never happened to me, and I get cocky and sometimes don’t wear my lifejacket. I had it on yesterday, since I usually do wear it in unknown water, but now I will wear it all the time, even in gentle Recreation Creek. Good lesson. I didn’t need it yesterday, but I could have. Amazingly, I had the camera around my neck and inside the jacket and it didn’t get wet. The water and 2 bottles of beer were safely stashed inside the closed hull with wallets in a dry bag so all was well. Once back in the boat, we decided it might be time to go back downstream. Paddling up, I don’t think we really realized how strong the current actually was. In no time at all we were back at the launch site, floating easily and quickly by all those cute little river houses out to the sea. We also read about the danger zone where a river meets the sea, and now instead of heading into the waves to play, we stayed back cautiously. Again I think of Jeanne, who reads my blog faithfully, who will probably laugh at my caution. Jeanne climbs mountains in Nepal, jumps off waterfalls in Costa Rica and skis down back country cliffs in wild British Columbia. I love watching her adventures, but I have no plans to ever try any of those things. In fact, yesterday looking at the surf, I wondered out loud how people manage to take kayaks out there. I think true sea kayaks are more nimble creatures than our comfortable, big cockpit, wide, stable boats. Maybe someday I’ll go take a surf lesson on a warm day with an instructor. Maybe. We didn’t get back to camp till 4 or so, and after a very late lunch of egg salad, we both fell into a weary nap. The evening was long and warm, and a bit later Mo built a great campfire that we enjoyed long into the dark night. There wasn’t a bit of wind and the fire felt wonderful. It is nice that in this state park, campfires are allowed, but don’t plan to bring any firewood from any other area. It’s called “Burn it Where You Buy It”, and is important to keep beetles and other pests from traveling from one place to another. The California check station now asks specifically if you are carrying firewood as well as certain kinds of produce. Spring snows and off to the beach!